My wife and her friends really enjoyed their stay! Wonderful property with a wonderful host! Our family loved Almost Heaven! We had a tri-generational gathering and having the fitness center so nearby assured that there was something for everyone even during winter months. The lake views were scenic and relaxing, allowing everyone to unwind. There was even a ‘device lockbox’ so that we could truly disconnect. Also we loved the hot tub! Last but not least - Tom is an attentive, gracious, and responsive host. Everything was labeled clearly and if there was ever a question, it was great knowing that he was just a text away. Thank you, Tom! We, just came back from a relaxing stay in Big Canoe Ga, at Almost Heaven. The name says it all, a nice size house with all the comforts of home in the mountains of Georgia. 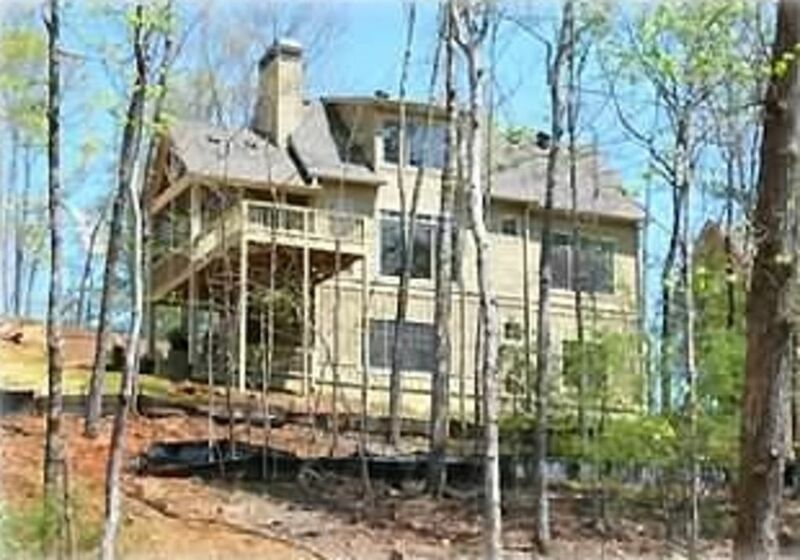 The house is on a colder sack overlooking the lake with a short walk down the hill to it. Close to the pool and hiking trails. The house was tastefully decorated and the kitchen had everything we needed for cooking. Tom provided great instructions for the trip up, he called to make sure we didn't have any issues, and left us his cell phone number in case we needed anything. Thanks for helping us make great memories! The homes was great and the owner was very helpful and responsive before and during our stay. Beautiful setting, would come back for sure. Perfect for a long weekend with the family and some outdoor activities! Wow! what a fabulous house and weekend my family and I enjoyed at Big Canoe. We were all there for a wedding and were not disappointed. The cabin was spotless and everything you needed was available. There was more than enough room for the nine of us. Television in every room was a plus. I would recommend this lovely cabin to everyone and anyone. Tom the owner was extremely helpful. I do hope to return in the summer. This beautiful cabin was rented for a wedding weekend. There was more than enough space for everyone to stay comfortably and thoroughly enjoy their stay. There was every ammenity that you would need, especially in the kitchen. Tom and Judy were wonderful hosts! They were easily reached, left detailed instructions for the home, and even allowed us a little extra time after a stressful and exciting weekend! Very clean, comfortable, and charming! I would recommend this slice of heaven to anyone!